Dayton Power and Light crews work on power lines that were brought down by ice on South Dorset at McKaig Ave. in Troy early Thursday morning. 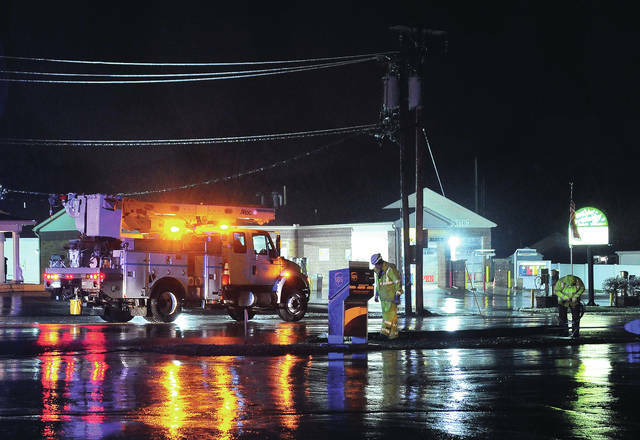 A Troy Police officer directs traffic around downed power lines on South Dorset at McKaig Ave. in Troy around 5:30 a.m. on Thursday. 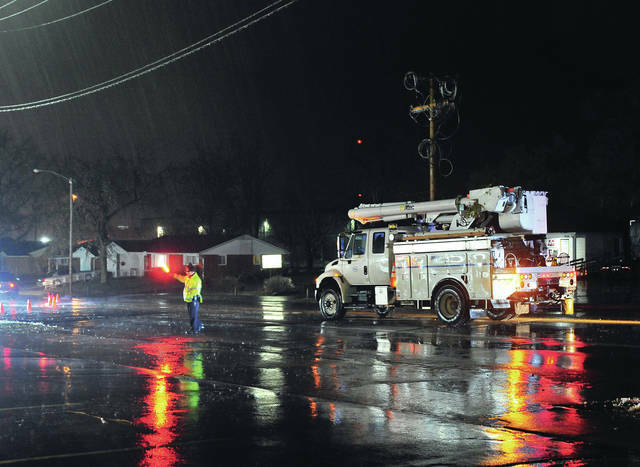 Freezing rain overnight led to several reports of wires down in Miami County. TROY — Overnight freezing rain is resulting in ice-covered vehicles, trees, and downed powerlines around the county. Miami County is currently under an ice storm warning as temperatures hover around the freezing mark. There have been several reports of wires down as power crews work to keep up with calls. Motorists are urged to use caution while traveling this morning. A number of area schools are on delay. As of 6 a.m., Piqua, Miami East, and Lehman are among a number of schools on a two-hour delay.